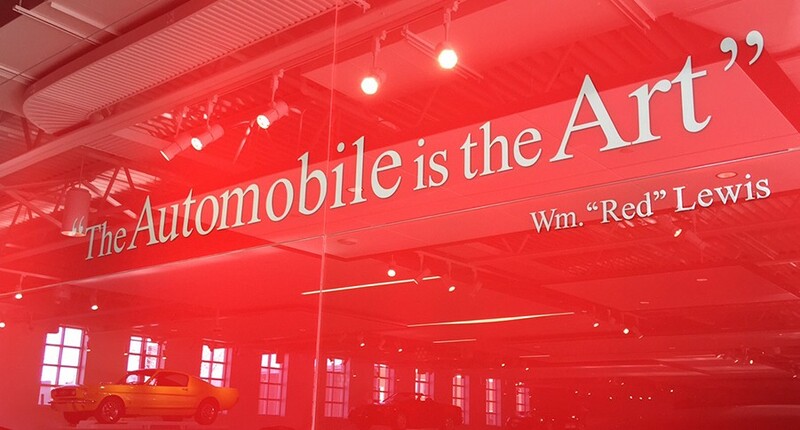 The Automobile Gallery’s lighting, décor, and arrangement have been designed with an intention to maintain a sharp focus on the automobiles themselves. The space is open and respectful — more Guggenheim than garage – creating a unique viewing space to showcase the rotation of vehicles on display. And while the automobiles are the focal point, the building itself has received critical recognition of its own for its design and appearance. 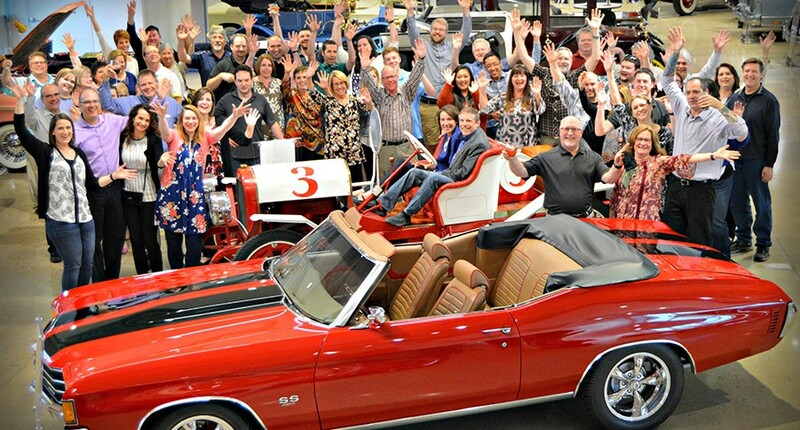 Since opening, The Automobile Gallery has been awarded the Brown County Historic Preservation Award, The City of Green Bay Mayor’s Beautification Award, the Milwaukee Concours d’Elegance Award of Excellence, and numerous other honorable mentions. In choosing this location, The Automobile Gallery revived the automobile heritage of 400 South Adams Street in Green Bay. 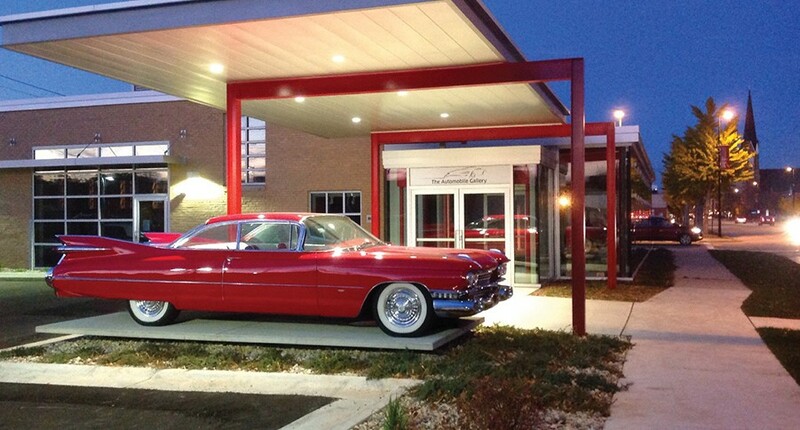 The location had previously been the original Denil Cadillac dealership, a local landmark, from 1958 to 1997. It was here where Joseph G. Denil envisioned a state-of-the-art facility of glass and stone for his Cadillac dealership. 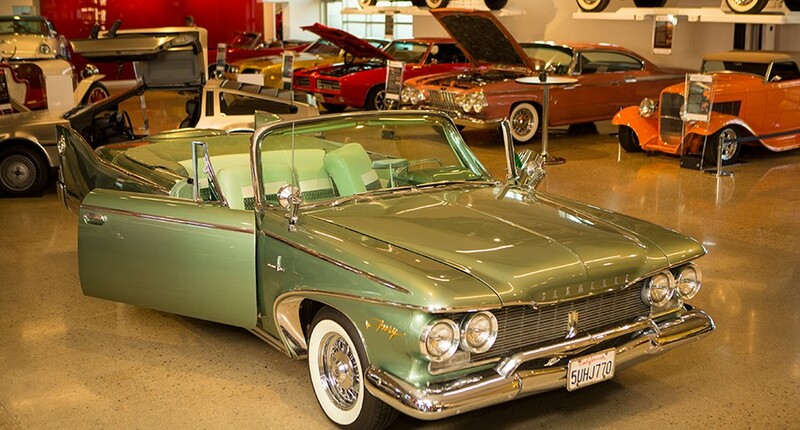 The building was completed in 1959 and was so advanced that General Motors used Denil Cadillac as the model for Cadillac dealerships throughout the United States. Many awards followed including recognition by General Motors as one of the Top 10 Cadillac Dealerships in the nation. 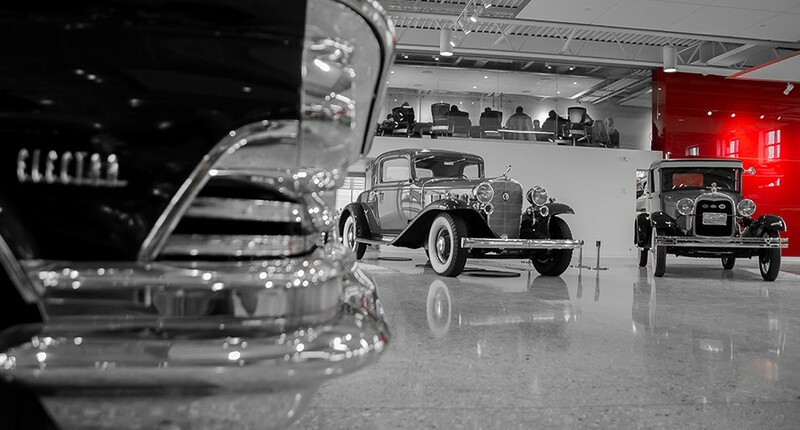 Denil Cadillac and the historic building set the standard for General Motors for nearly 40 years. Prior to its closing in 1997, it was the last remaining car dealership in downtown Green Bay. Approaching from the south, The Automobile Gallery and its surrounding neighborhood is a gateway to Green Bay’s downtown. 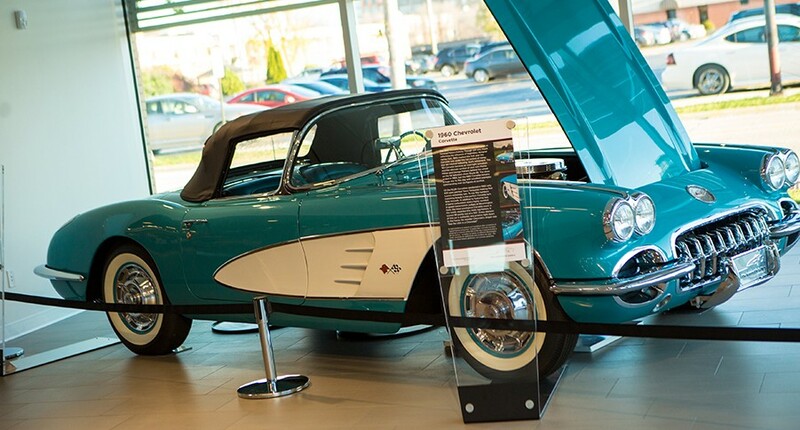 This magnificently renovated building with gleaming restored vehicles on display both inside and outside turns heads and has brought Green Bay recognition for automobile collectors and enthusiasts far and near. From a 1912 Maxwell to a 2016 Shelby Hertz Edition, The Automobile Gallery collection spans nearly a century of automobile history. 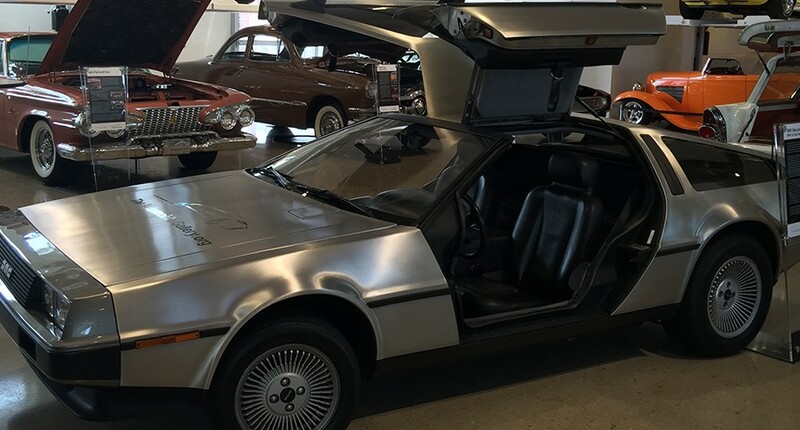 Visitors can admire a 1963 Corvette or go “Back to the Future” and have their photo taken sitting in a 1981 DeLorean DMC-12. 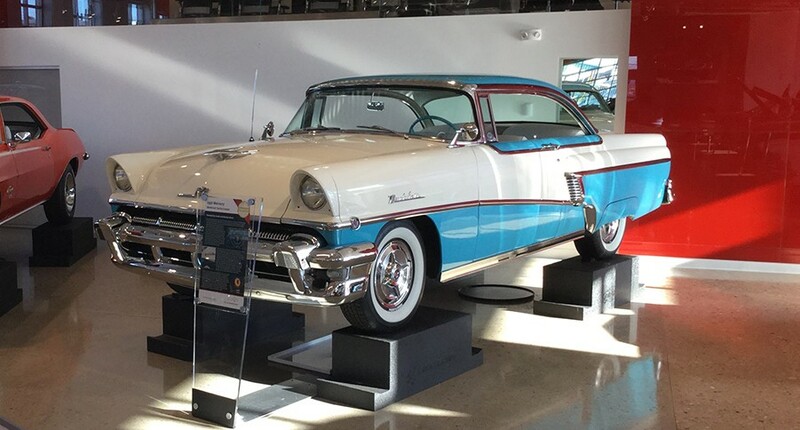 There are just two things all the cars on display have in common: They were all driven to The Automobile Gallery, and they have all been restored to their original luster. 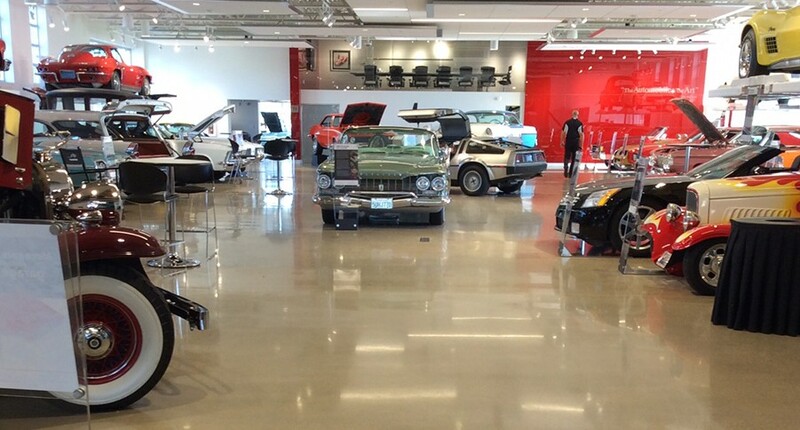 The Gallery’s wide variety of makes and models enriches The Automobile Gallery experience. Guests marvel at the array of vibrant paint colors, the number of automakers represented, and the diverse range of automobiles presented in authentic splendor. Each guest’s favorite seems to be the one that evokes the warmest memories… “I learned to drive in this car,” or “I helped my dad restore a truck like this,” or “My first boyfriend had one just like this.” For many, it’s more feelings than fender lines. Please complete the form below for consideration to display your automobile at The Automobile Gallery.